Capt. Joe Francis (of Eryl, Dinas) was captain of SS Marie Elsie in 1915 – a dangerous time to be a sailor. Fortunately, by the time the Marie Elsie was torpedoed and sunk on its way to Arkhangelsk in June 1917 he had moved on to be captain of the steam ship ‘Carmelite’. SS. Carmelite was also to be torpedoed by a German submarine and she sank with a cargo of iron ore, just off the Isle of Man in March 1918. Captain Francis survived and went on to captain larger ships in safer waters. 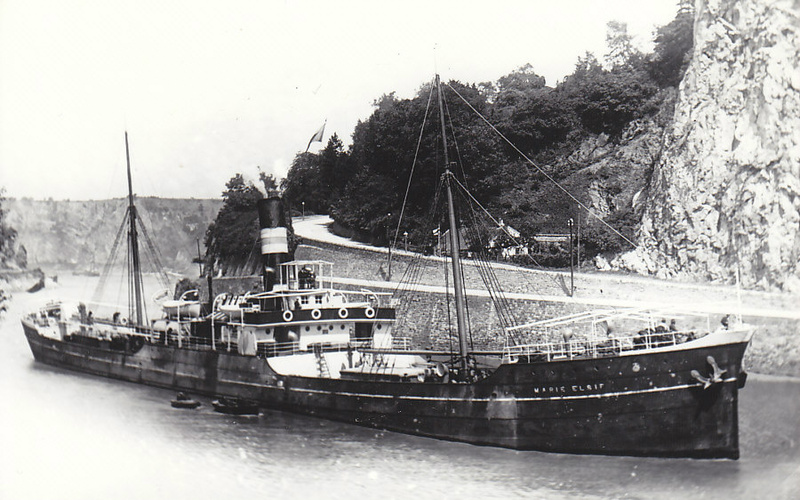 SS Marie Elsie was owned by ‘Scaramanga Brothers’, a Greek family that had fled to England from the Greek-Turkish conflict in the C19th. They built up a fleet of 8 tramp steamers and a shipping business that enabled the family to send their sons to Eton. 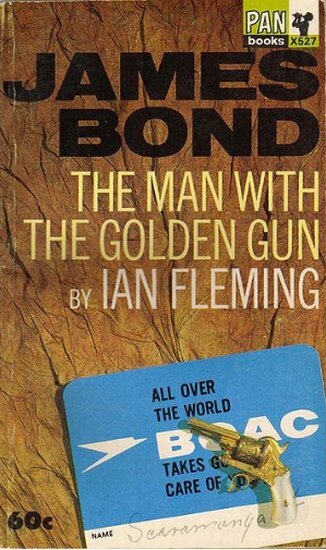 Ian Fleming, also at Eton, and renowned for finding the names of his villains from his circle of friends and acquaintances, clearly liked the sound of “Scaramanga”, who ended up as Bond’s adversary – doomed to lose the final duel but providing plenty of excitement with high-tech equipment along the way. This entry was posted in History, Sea, Transport and tagged 1st world war, Dinas, Dinas Cross, Ian Fleming, James Bond, master mariner, Pembrokeshire, scaramanga brothers, sea captain, tramp steamer. Bookmark the permalink. I stumbled on then via Google, coming back from the Tower Hill Memorial after finding my great grandad Thomas Morgan who drowned after the SS Marie Elsie was torpedoed. Owned by Scaramanga! Who’d have thought!